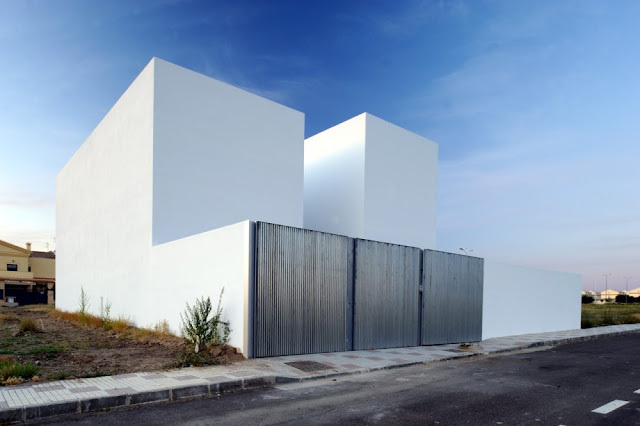 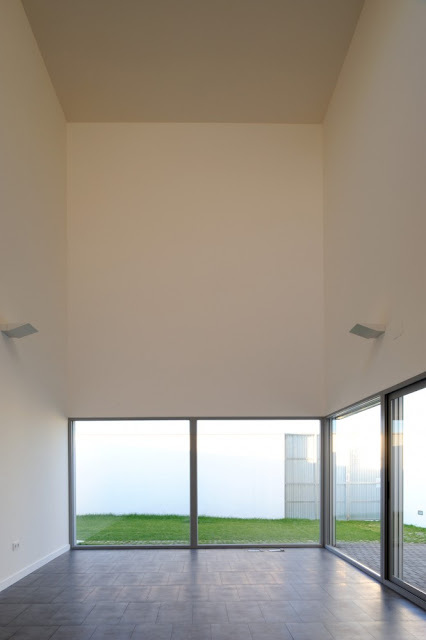 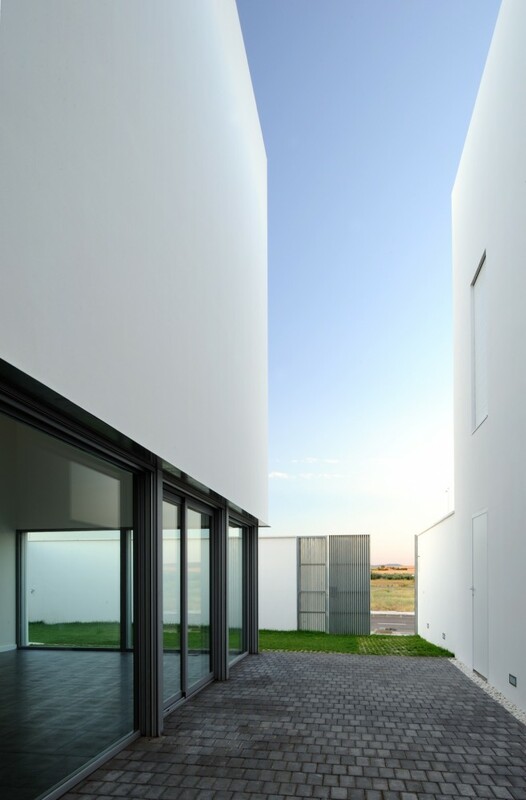 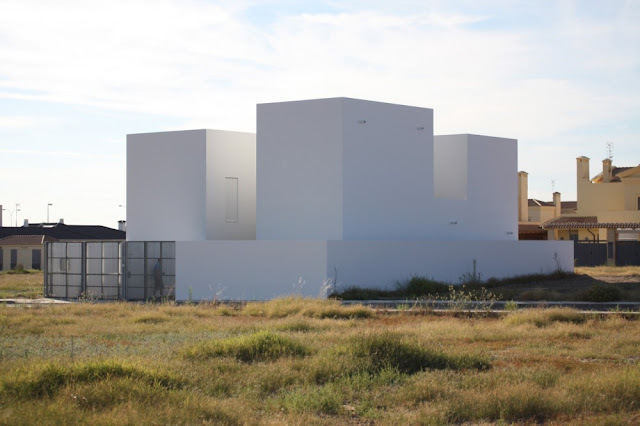 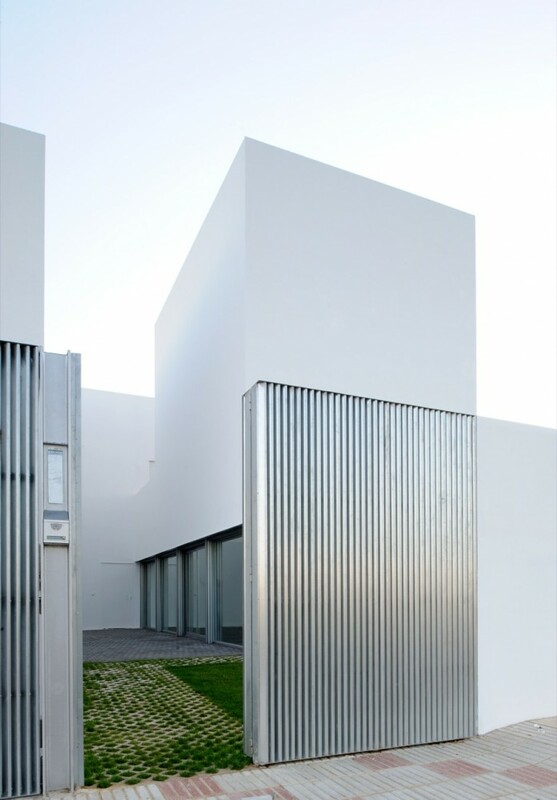 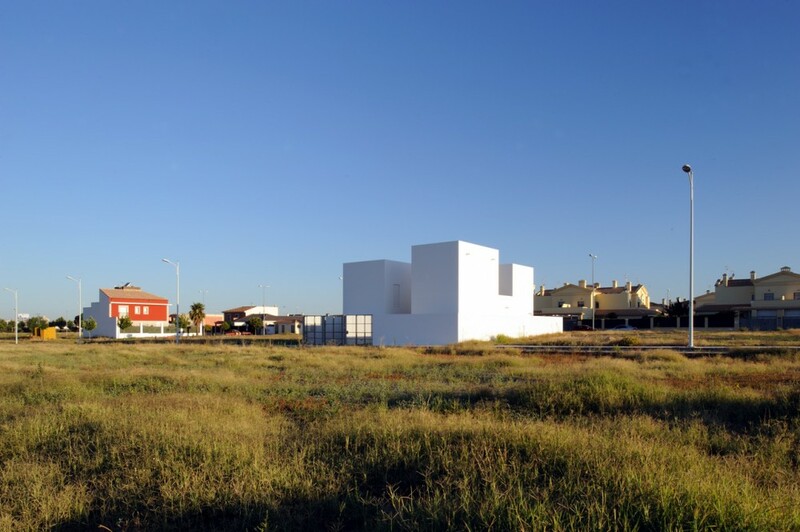 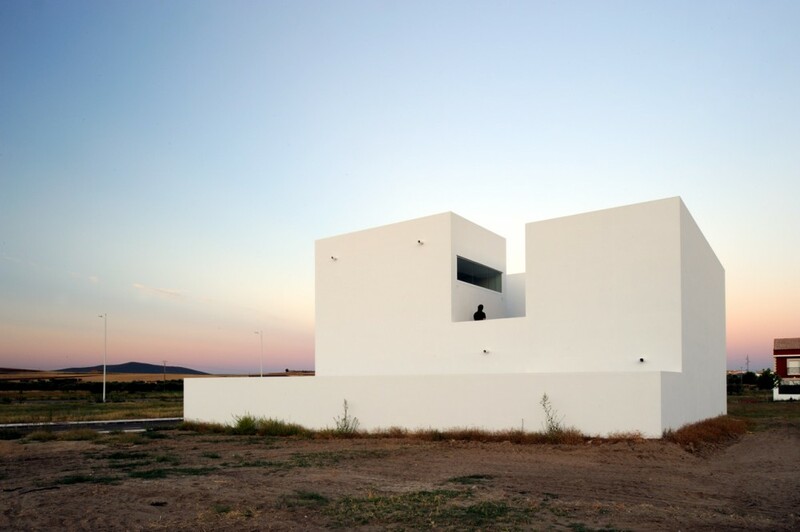 RG house is a single family residence in Badajoz, Spain, designed by Madrid based Estudio Arquitectura Hago. 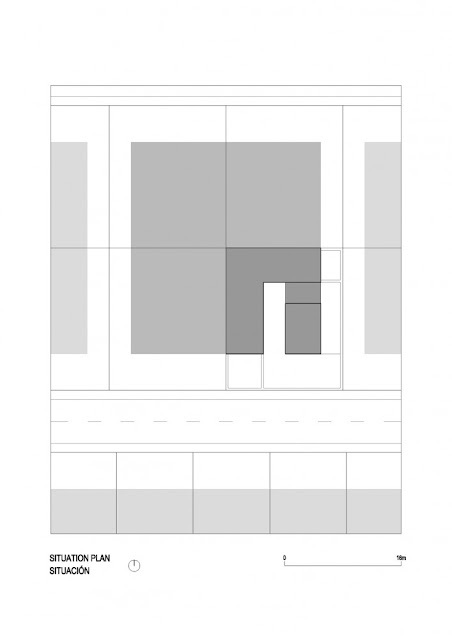 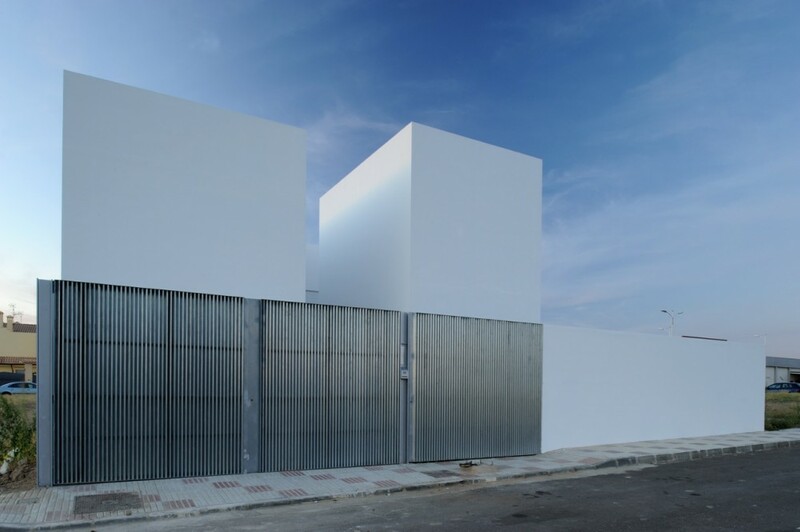 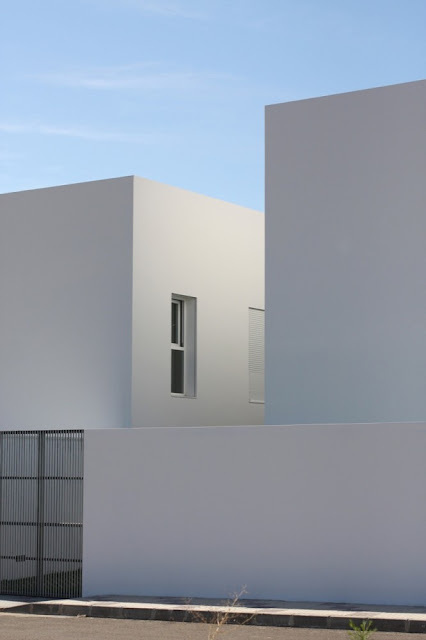 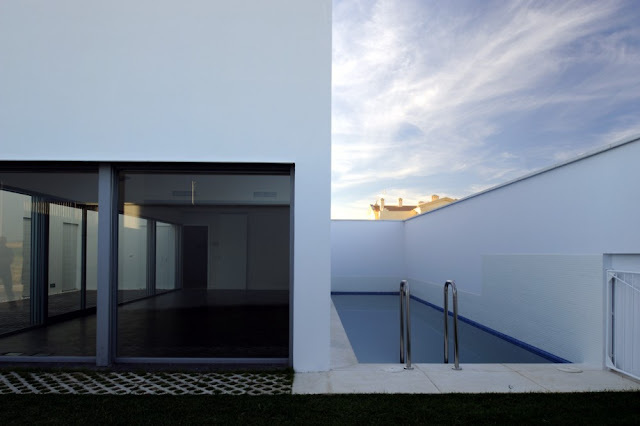 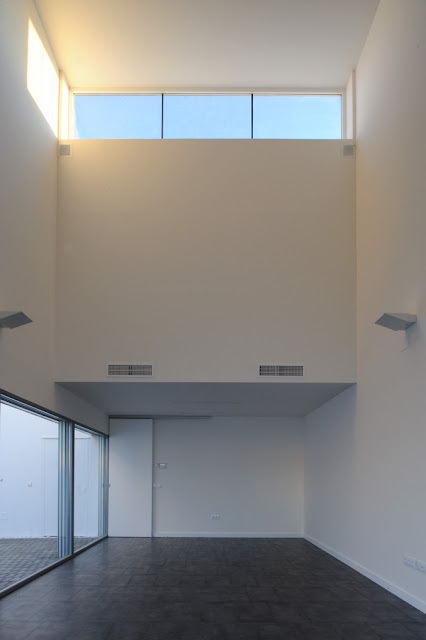 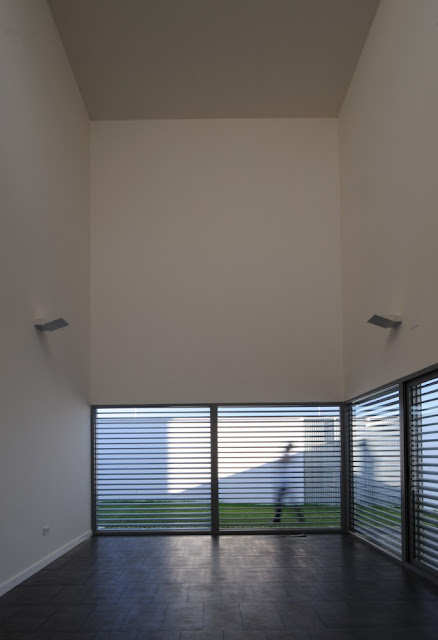 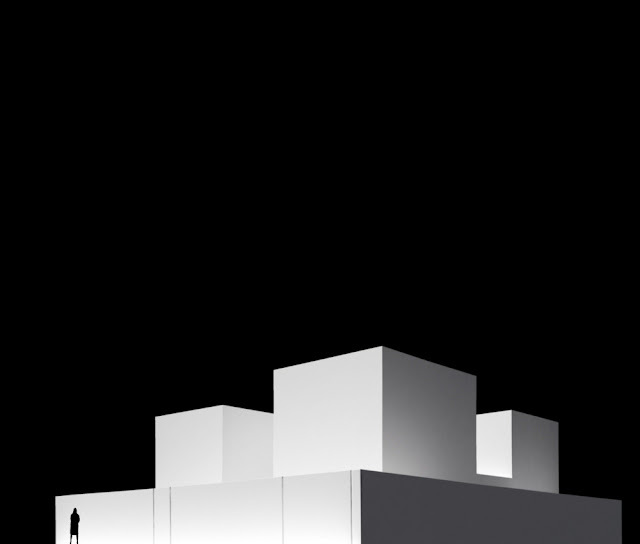 The building has an abstract volume created by an introverted plan, enclosed with a white perimeter wall that creates the boundary between the street and the interior courtyard with a swimming pool. 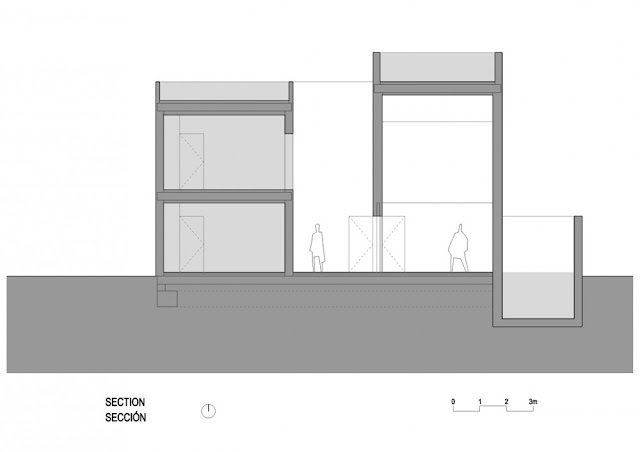 The main reason that unleashes any architectural proposal is the client. 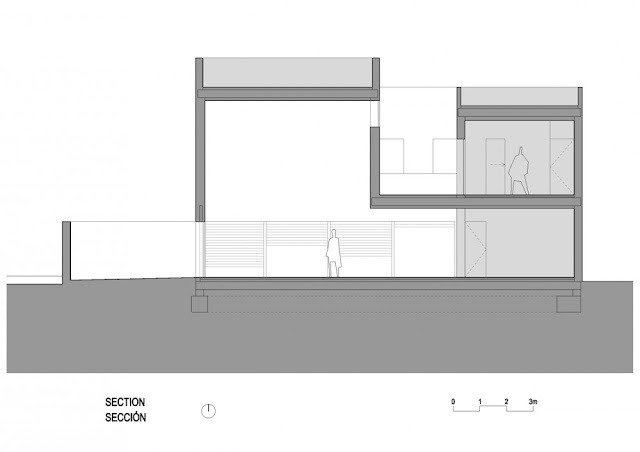 His needs and questions provide the project with direction and ideas that will be present within the space of the building. 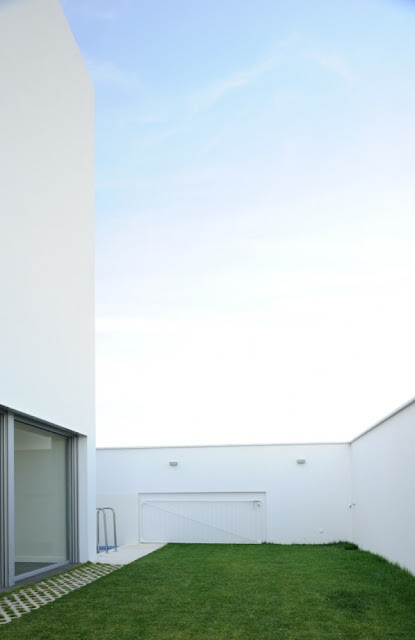 RG House was built in response to the needs of a large family. 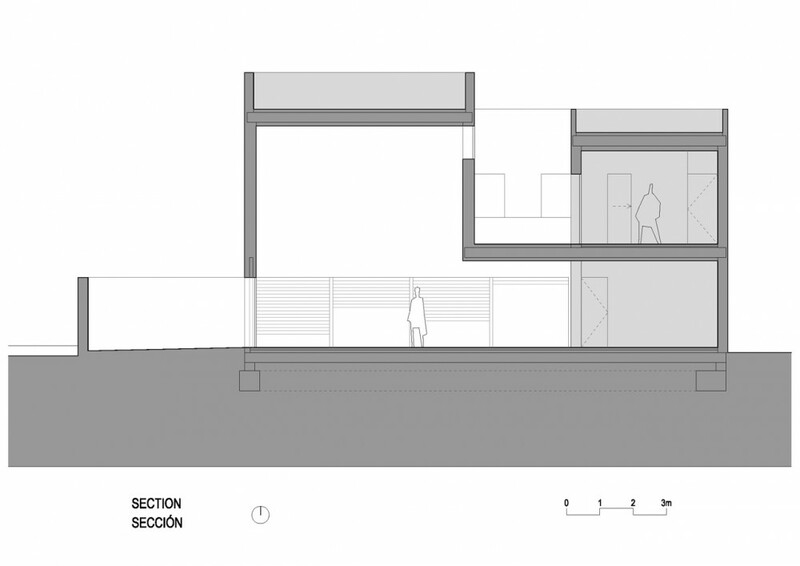 We had to consider the way in which this large family should live together in the yet to be defined space. The design contains a different common space (special and recognizable) as a complement of the rest of the modular units (bedrooms, bathrooms, kitchen), which complete the program of the house. 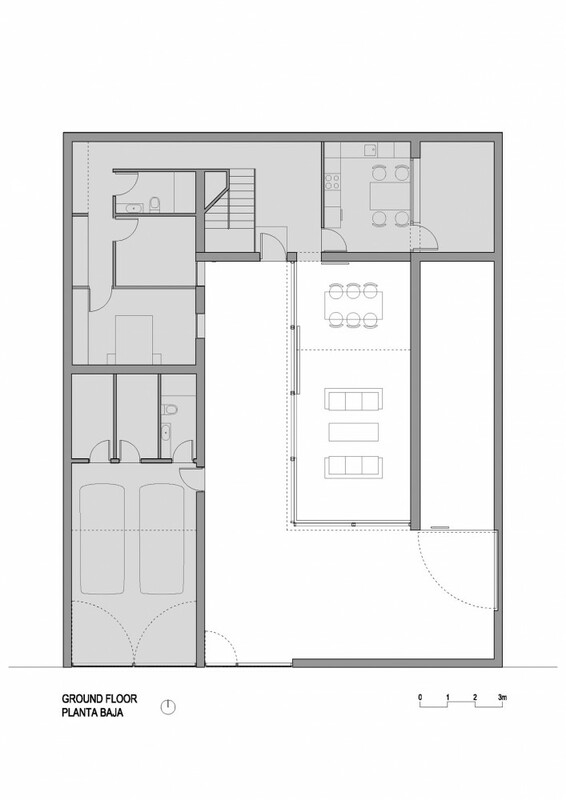 This common space (living room, dining room, etc) is located in the center of the plot, surrounded by the garden. 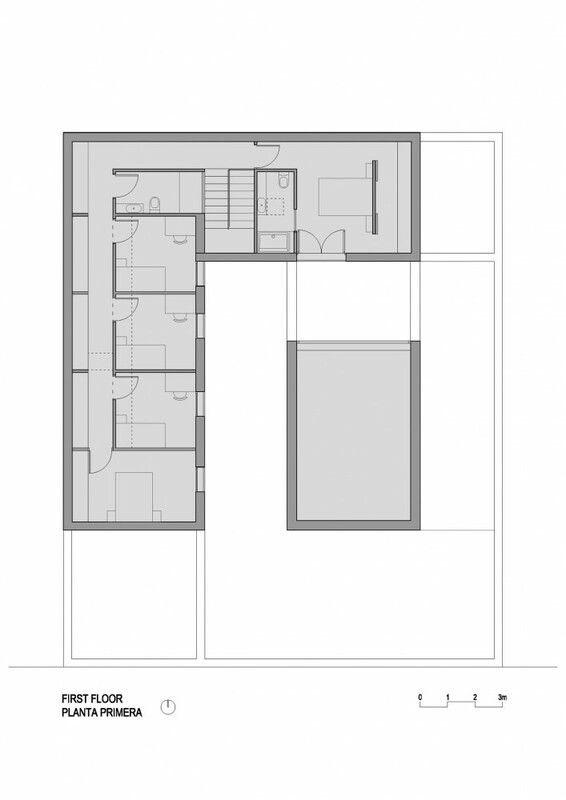 The functional parts of the house can be found at the bottom of the plot. The rationality and modulation of the bedrooms contrast with the central space: a special place where outer and inner spaces are melted, and where the verticality is diluted by the shadow provided from a northern skylight. The introverted nature of the house, due to its location in an industrial estate, inspires the clean shapes arising from the border walls. The aim of hiding the windows emphasizes the fusion of the central space with the surrounding garden, courtyard and pool.